Deciding to obtain a doctoral degree in special education is a big step, and it is not one to be taken lightly. Earning a doctoral degree not only requires an advanced level of intelligence, but it also requires a considerable amount of time and hard work as well. While obtaining a doctoral degree is decidedly worth it for those individuals who wish to become true experts and leaders in their field, there is no reason to make obtaining a doctoral degree more difficult than it already is. Universities that offer online doctoral degree programs in special education allow their students the flexibility of working on their doctoral degree programs wherever and whenever they need to. The schools listed below are the best choices for students who want to be at the top of their profession. These universities all provide online doctoral degrees that students can be proud to earn. Each of these schools provides exceptional and competitive academic quality from industry professionals who are experts in their fields. The faculty who teach the courses for these programs have spent many years in the field, so they truly know the subject matter they teach. Not surprisingly, these schools have received numerous awards and recognition for their outstanding programs. All of these factors combined explain our methodology: innovative curricula, accreditation, expertise of faculty, education costs, and recognition by ranking authorities like the U.S. News and World Report, Forbes, and the Princeton Review. These ten well known universities also offer a great variety of Special Education degree programs as well as a number of specializations. Their programs are rigorous and their standards are high. Furthermore, these schools are affordable, and they offer an excellent value for the money that students spend obtaining degrees from them. 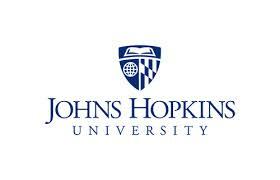 John Hopkins University is synonymous with world class research, education, and quality. Since founding in 1876, the University’s mission of “bringing knowledge for the world” has stood as a testament to its prestigious means of exploration, learning, and discovery. It’s online programs are no exception. With programs accredited by the Middle States Commission on Higher Education, the University’s online Doctor of Education program gives students essential knowledge in the ever changing field of education paired with the refined information of specialized studies in Special Education. Ranking number 2 on the U.S. News and World Report’s Best Graduate School for Education, this program yields graduates ready to reform all aspects of special education policy, teacher development, service implementation, public policy, and service delivery through research and theory. Plus an enhanced focus on special and general educator relationships, administration, management, and leadership provides an in-depth understanding of every level of special education. The estimated cost of pursuing an online doctoral degree at John Hopkins is $39,930 per academic year. For more about John Hopkins University’s Online Doctoral Degree Programs, go here. Benedict Joseph Fenwick founded Boston College during 1825 in Chestnut Hill, Massachusetts, as a private Roman Catholic Jesuit research institution. In attempt to meet not only the needs of his congregation but also the community, the College’s original blend of spiritual principle and academic excellence gradually earned the school the worldwide recognition it has today as “the nation’s Catholic intellectual powerhouse.” Ranked in the Top 20 in the nation by The U.S. News and World Report as well as Forbes among the Best Education Schools, Boston is a great choice for academic excellence. It’s Doctor of Philosophy in Curriculum and Instruction maintains the College’s foundational principles and provides candidates the opportunity to major in the most innovative aspects of education – including Special Education. Tuition is $1,212 per credit hour. Accreditation through the Commission on Institutions of Higher Education of the New England Association of Schools and Colleges and the Teacher Education Accreditation Council ensures a quality educational experience for all students who enroll at Boston College. 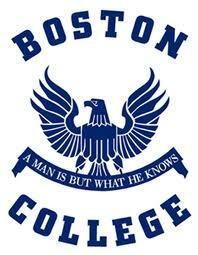 For more about Boston College’s Online Doctoral Degree Programs, go here. The University of Florida is Florida’s oldest and most comprehensive university. It is a major public research university that is proud of its academic diversity. The university has received regional accreditation from the Southern Association of Colleges and Schools Commission on Colleges, and it belongs to the Association of American Universities as well as recognition for being the 18th Best Graduate Education School per the U.S. News and World Report. The University of Florida Online offers four online doctorate degree options, such as Doctor of Education Curriculum and Instruction with a Specialization in Curriculum and Teaching, Doctor of Education Curriculum and Instruction with a specialization in Educational Technology, Doctor of Education in Educational Leadership, and Doctor of Education in Higher Education Administration. All programs offered through the University allow students to augment their knowledge base with electives in the most advanced Special Education topics to qualify them as experts in the field upon graduation. Tuition for off-campus graduate students is $12,640 for in-state students and $30,034 for out of state graduate students beginning programs for the first time. Tuition may be lower for continuing students. 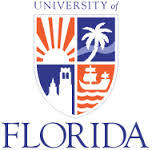 For more about the University of Florida’s Online Doctoral Degree Programs, go here. Indiana University is a research institution that strives to create partnerships with local communities in order to provide leadership and creative solutions for current problems. The university offers online doctoral degrees in the most advanced fields including Ed.D. in Instructional Systems Technology with a minor in Special Education and the Doctor of Philosophy in Educational Studies. Both programs offer a blended course of study with specializations in Early Childhood Special Education, Education of the Deaf and Hard of Hearing, and Teaching of students with Autism Spectrum Disorders and Severe Disabilities. Indiana University receives its accreditation from The Higher Learning Commission of the North Central Association, and individual programs have their own professional accreditations and affiliations as well. Tuition for doctoral programs ranges from $338.56 to $363.22 per credit hour for Indiana residents and from $986 to $1,088.65 per credit hour for non-residents. And best of all, as the 14th Best Online Graduate School for Education according to the U.S. News and World Report, Indiana University’s affordability, accreditation, and academics are rated A+! 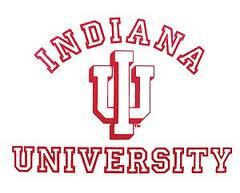 For more about Indiana University’s Online Doctoral Degree Programs, go here. Liberty University is a private Christian university that has been developing Christ-centered men and women to impact the world since 1971. As one of the top 125 best providers of Online Graduate Education per the U.S. News and World Report’s annual rankings, Liberty University has received regional accreditation from the Southern Association of Colleges and Schools, and many of its individual programs are accredited as well. Liberty University’s Doctor of Education and Education Specialist online doctoral degree programs require candidates to complete the courses essential for their degrees as well as means of maximizing their educational opportunities with a minor in Special Education. Plus the University’s unique Degree Completion Plans help all students stay on track to fulfill their goals. Liberty University’s tuition rates are very affordable. In fact, they are some of the lowest in the nation. Ph.D. and Doctorate programs cost $570 per credit hour for students enrolled part time and $520 per credit hour for students enrolled full time. Plus, Liberty University offers discounts for students in the military. For more about Liberty University’s Online Doctoral Degree Programs, go here. Regent University provides it’s students the ability to not only prepare for their profession but also secure an education based in faith and instruction founded in a Christian perspective. Graduates from all of Regents’ programs advance as well qualified Christian leaders ready to impact the world with their knowledge and spirituality. It’s Doctor of Philosophy in Special Education program combines the best this educational institution has to offer to ensure the success of candidates as they embark on their journey as leaders, advocates, and innovators in the field of Special Education. Regent University is regionally accredited by the Southern Association of Colleges and Schools and with the Council for Higher Education Accreditation. Every school within the University has its own accreditations as well – including Regent’s School of Education which is accredited by the Teacher Education Accreditation Council. Tuition ranges from $870 to $1,110 per credit hour. This program requires a one week residency during the summer. For more about Regent University’s Online Doctoral Degree Programs, go here. Originally founded to bolster city development, Indiana’s Ball State University has historically given its students the ability to not only connect but also lead. It’s Doctor of Education in Educational Administration and Supervision provides the academic foundation necessary to advance as special education managers in the field. Candidates may pursue specializations in Community Education, Community College Leadership, Higher Education, or major in Special Education to acquire the refined skills needed to succeed. The program does require students to visit campus one weekend a year. Ball State is currently under review for accreditation by the Higher Learning Commission of the North Central Association of Colleges and Schools and should be in effect as of April 2014. The estimated cost of tuition is $25,168 per year. 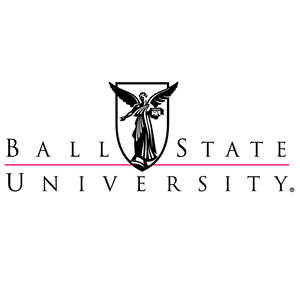 For more about Ball State University’s Online Doctoral Degree Programs, go here. 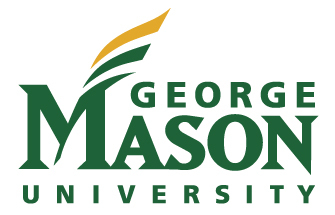 Since 1957, George Mason University has been a forerunner in advanced education. And in the days since, the school has only continued to provide students with an exceptional learning experience. As the 6th Best Up-and-Coming School of 2012 per the U.S. News and World Report, George Mason is a great fit for today’s online doctoral degree candidate. It’s online programs are no exception since they allow students to apply advanced placement credits as well as earn dual credits to complete their degree faster than many of the University’s competitors. It’s Doctoral of Philosophy in Education with a Professional Specialization in Special Education online program requires students to gain and process knowledge through theory and research. Upon completion, candidates not only apply their abilities to help solve some of the most pressing educational issues, but continue to careers as accomplished advocates, leaders, and innovators. Tuition for 9 credits per semester for in-state students is $9,075 and for out of state students is $28,584. For more about George Mason University’s Online Doctoral Degree Programs, go here. University of Nebraska classes—both online and on campus—are taught by faculty who are highly regarded as experts in their fields of study. The university’s online programs have all received full accreditation from The Higher Learning Commission and many also carry specific professional accreditations as well. Listed on the U.S. News and World Reports’ Best Online Graduate Education Programs list, the University of Nebraska offers several online doctoral degree programs, including the Ph.D. in Educational Studies with a Specialization in Educational Leadership and Higher Education with a Supervisor of Special Education Endorsement. Candidates have the additional opportunity to pursue areas of study in both special education and communication disorders. The University also offers an alternative for those who want to prepare for their advanced degree at an expert level, they can pursue an Ed.S. in Special Education and Communication Disorders. Program tuition varies widely for students at the University. Nebraska residents can expect to pay between $269 and $1,541 plus fees per credit hour. Students who are not residents of Nebraska can expect to pay between $393 and $1,541 plus fees per credit hour. For more about the University of Nebraska’s Online Doctoral Degree Programs, go here. A school that focuses on positive social change and unique flexibility, the University of Northern Colorado was founded in 1889 with dedication to “Eternal wisdom.” This motto holds true for students of all backgrounds and ages – including working adults. Those who wish to pursue a degree without giving up their jobs may do so within the Special Education, PhD program. Recognized among the nation’s Best Public Colleges and Research Universities by Forbes, the online Special Education, PhD program available at the University of Northern Colorado is a practical and affordable choice for today’s doctoral candidates. The University’s challenge of creating an individual academic path to meet their educational and career goals has given many working adults the chance to expand their knowledge and experience in the field of special education. The University of Northern Colorado is accredited regionally by the Colorado Commission on Higher Education and the Colorado Department of Education as well as nationally by the Higher Learning Commission of (HLC) of the North Central Association of Colleges of Schools. Additional international accrediation for this program is through the Council for Exceptional Children. Tuition is $7,733 (in state) and $19,277 (out of state). For more about the University of Northern Colorado’s Online Doctoral Degree Programs, go here. The Educational Specialist (Ed.S.) 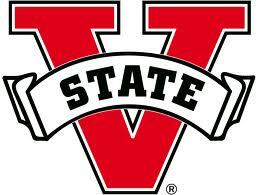 in Teacher Leadership offered online through Valdosta State is truly one of a kind. It offers students the ability to not only refine their skills with electives in special education but prepare for their futures as professionals in the field. The university’s commitment to academic excellence begins with it’s faculty of experts in their fields, and ends as they prepare their students to become experts as well. This school is regionally accredited by the Southern Association of Colleges and Schools and many of its degree programs have additional accreditations as well. Online graduate tuition for this program is $453.50 per credit hour for in-state students and $1,051.50 for out of state students with a total estimated cost of $16,514. Best of all, Valdosta is listed in the top 30 of the U.S. News & World Report’s Best Public Schools for its ability to pair affordability and quality to prospective PhD candidates. Northcentral University is unique in that it operates based on a one-to-one teaching model, where one student is partnered with one faculty member in each course. Northcentral University offers the Doctor of Education, the Education Specialist, and the Doctor of Philosophy in Education online degrees. Each offering combines the most advanced knowledge available with the opportunity to refine studies in the field of special education. Northcentral University has received its accreditation in the WASC Senior College and University Commission (WSCUC). Tuition for online doctoral programs varies from $2,461 to $2,570 per course. 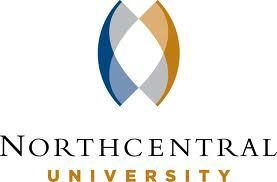 For more about Northcentral University’s Online Doctoral Degree Programs, go here. Nova Southeastern University was first established in 1964 in Fort Lauderdale, Florida as Nova University of Advanced Technology. From its small beginnings, Nova Southeastern grew to a larger school that now offers a number of online doctoral degrees including the Doctor of Education with a concentration in Special Education. Nova Southeastern University has received its accreditation from the Southern Association of Colleges and Schools Commission on Colleges and 83 of Nova Southeastern’s online degree programs are also certified by the Southern Regional Education Board. Tuition varies between $600 and $945 per semester credit hour, not including additional education related fees. For more about Nova Southeastern University’s Online Doctoral Degree Programs, go here. Capella University began in 1993 as The Graduate School of America, a school focused on bringing higher education to an underserved adult population. Since then, the school has been renamed Capella University, but its mission remains the same. Capella University receives its accreditation from The Higher Learning Commission, and it is a member of the North Central Association of Colleges and Schools. Capella University offers Council for Exceptional Children recognized online Doctor of Philosophy in Special Education Leadership program to suitable candidates with an interest leading and managing the diverse aspects of the field of special education. Tuition at Capella for it’s online PhD program is based upon the number of credit hours and degree level. Most courses are between 10 and 12 weeks in length and tuition ranges from $505 to $768 per credit or $2,780 to $5175 per quarter. As the 23rd school listed on the Guide to Online Schools.com’s 2012 Online College Rankings, Capella is growing increasingly competitive with many of the world’s top schools and programs. For more about Capella University’s Online Doctoral Degree Programs, go here. Since 1949, Grand Canyon University has provided private Christian based education to students who wish to expand their knowledge and advance their careers. The University’s offerings in doctoral degrees for those interested in Special Education involves participation in the Doctor of Education in Organizational Leadership with an Emphasis in Special Education. This program is not only licensed and approved by the Arizona State Board for Private Post Secondary Education but also accredited by the Higher Learning Commission of the North Central Association of Colleges and Schools. Tuition is $630 per credit hour plus additional education related expenses and fees. Candidates are required to complete two in person residencies. For more about Grand Canyon University’s Online Doctoral Degree Programs, go here. This entry was posted in Graduate Programs, University Rankings on November 6, 2013 by tjentz.